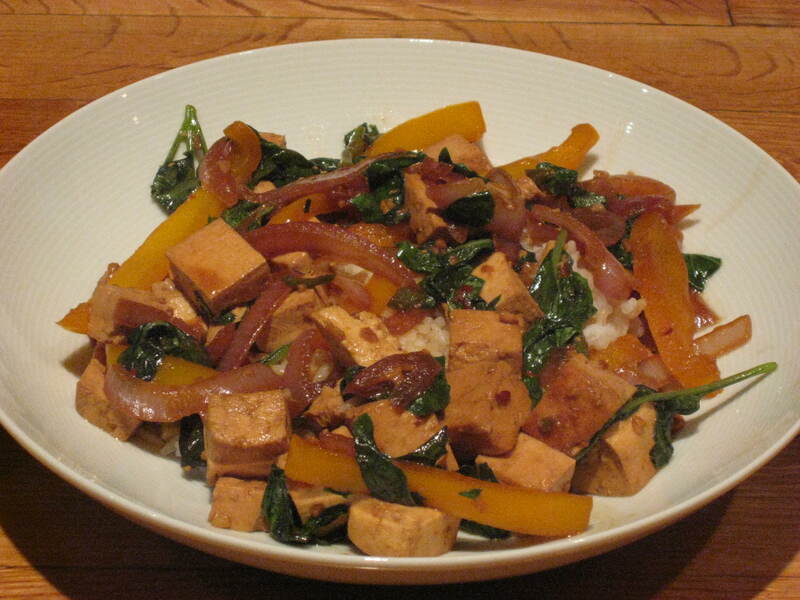 Cut tofu into 1-inch cubes and set aside. 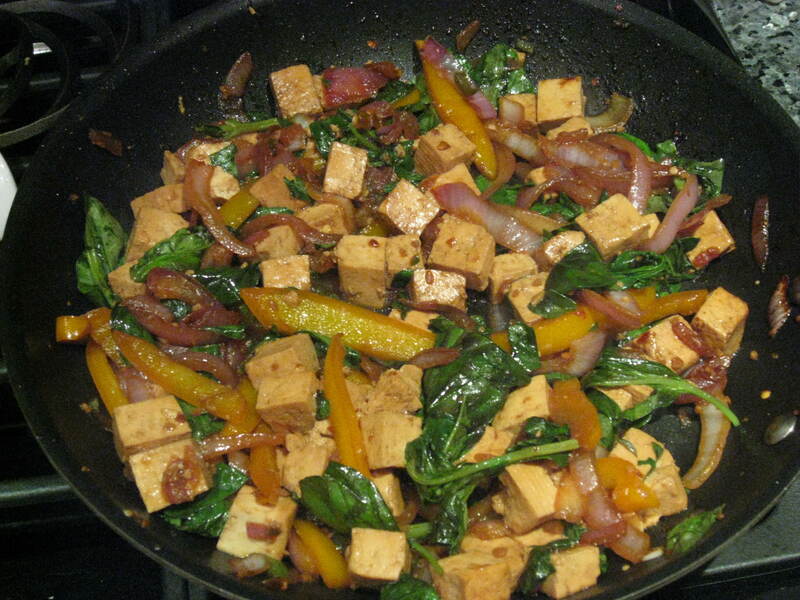 In a large skillet or wok over medium-high heat, heat oil and add onion, bell pepper, and garlic. Stir-fry for 1 to 2 minutes, or until the onion begins to soften. 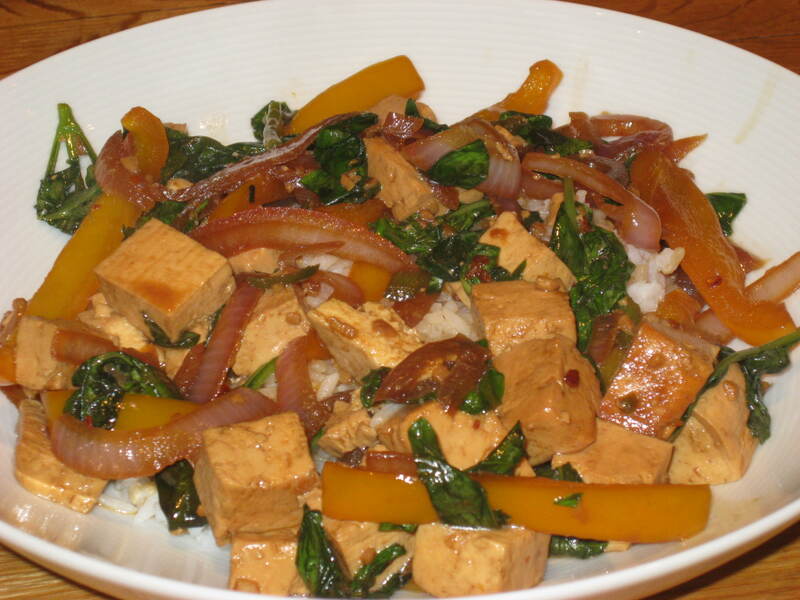 Add chile, pepper flakes, soy sauce, “fish” sauce, sugar, and tofu and continue to stir-fry for another minute or two, or until tofu is golden brown. Add basil and cook a few seconds longer before serving over the rice. Combine all ingredients in a small jar with a tight-fitting lid. Shake until well blended. Keep refrigerated for up to three weeks.